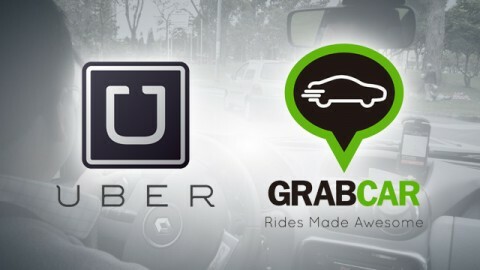 In my recent post, i have shared what is GrabCar/Uber and how do both of these platform help to serve the public. In this post, i would like to share my thought about being a GrabCar or Uber driver. Below would be the list of requirement to be a GrabCar or Uber driver in Malaysia. Car 2011 onwards are eligible car for driving with Grab. No criminal record, bad driving record! Grab driver only support Android phone and iPhone (Updated). Poses a valid driving license. “P” license is NOT eligible. If you meet the above requirement and interested be a GrabCar driver, you need to sign up with GrabCar and activating your account. In order to signup with GrabCar and join our big family member, kindly perform the following. register yourself here and be part of our family member. send an email to us at admin@grabcaruber.com. Upon activation, you are required to watch the training video which is specially made for new driver. This video will equip you with background of the app, how to use the app, what to do after receiving bookings and dealing with fare transactions. Kindly get familiar with the details of it through the video rules of conduct and other information on how to get started. The video can be viewed here. When your driver app is online, which mean you are ready to deliver the transportation service to customer whom needed it. You are not recommended to ignore the job or cancel it because this activity will lead your acceptance rate drop which will result your incentive loss. However, there are certain cases where you really cannot accept the job due to certain reason, please call the subject customer and politely notify them your reason and request them to cancel the job. In this case, you will not be affected by the acceptance rate. When the system routed the job to you, you are to response it by 15 seconds and failing to do so will result the app will log you out automatically. You are required to login again to get online and if this happened to frequent, your acceptance rate will drop and may result your incentive loss. Once you’ve accepted the job, kindly make a call to your customer to inform him/her that you are on the way and to get more information of his/her current pickup location. Being a GrabCar driver will face a lot of types of customers. Sometimes, it is quite common that the customer is not showing up, being late for more than 20 minutes, not paying after drop off, and much more, do not worry, you can always call +603-7964 5000 or 1300 80 5858 and inform them your problem. In order to determine the booking made is genuine or fraudulent, pull down the notification panel and check the last 3 or 4 digits of the booking ID which indicates the number the amount of bookings the passengers has made. If they are less than 10 transactions, call the passenger and speak to them in English to detect if the response is made in broken or foreign English accent. If you suspect the booking is a fraud, please call 1300 80 5858 to cancel the trip and report them. Payouts are made weekly into your bank account starting at 12am on Mondays and stops on Sundays at 11.59pm. If you have referrals that made 10 trips in the first month of joining GrabCar, RM100 will be banked directly into your account. warning – dangerous or fast driving, driving without seatbelts, being late for 20 minutes without notifying passenger, being dirty, smelly, demanding passenger to sit in front, taking on another job with a passenger on board, taking longer routes and not using GPS and much more. 3 days suspension – no show, overcharging passenger and much more. 5 days suspension – JPJ blacklisted, police traffic blacklisted and much more. banned – “Gaming” which means accepting bookings for rides that you did not accomplish and pressing ‘Pick up’ before passenger climbs in the car or stopping to drop passengers off far away from the destined spot. Gaming is also considered when passenger who uses a promo code miss showing up and driver presses and receives a free top up to his credit balance. There are certain driver whom are leveraging their own community to create a short trip among themselves at peak hour. This is because GrabCar will guarantee the driver of certain amount of fare depending on their “tier” accumulated. Driving with different car plate number is strictly prohibited. 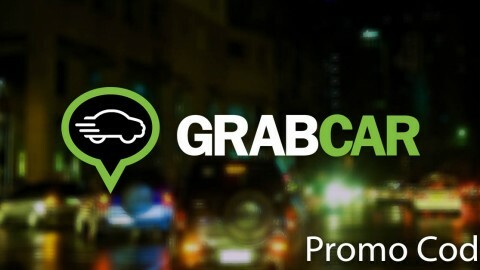 GrabCar Promo CodeWhy Should We Use GrabCar or Uber? Does Grabcar chk summons during registration time or after that ? It’s depend. If you are still able to renew your road tax, most likely you will be able to go through. But if you have been blacklisted by the police traffic, they will deactivate your account until you’ve settled it. Usually how long it takes to activate driver account after verify documents?? It will take few hours normally. You may call back to grab customer service to verify if your account has been activated. Some, it may due to your email or Imei wrong and because of that you cannot online yet. I verify my documents on Friday (30/6/2017) afternoon and they told me to wait for activation but until now (Sunday 2/7/2017) still haven’t activate yet. Why does driver having P licence cannot drive grabcar? Grab consider ‘P’ is an inexperience driver and they are trying to comply with the industry practice regulation such as public drive e.g. taxi drivers. Hope this clarified. really? ios is not supported? meaning if i dont have android phone, i cant do grabcar? Noted that admin has updated his blog on this. FYI, Grab has officially support iOS for their driver app. You may download it at http://grb.to/iosdriver if you are using iPhone. If you have not register, kindly send an email at signup@stepsocks.com and they will help you to register. Can my hyundai veloster accepted by grabcar use? my car is company register,can send me the sample autharization letter. Replied to your registered email. Kindly check your email ya. May i know what is the manufactured year of the mentioned car? As of now, if your year of the mentioned car is below 6 years, there is no inspection needed. However if above 6 years and below 10 years, you need to go back to Grab office to perform car inspection. The inspection is merely on the tidiness of your car and all the safety functions are fully functional such as seat belt. etc. Hope this clarified. You may want to send your details of yourself to yongjc@stepsocks.com for registrations for Grab. Hello im newbie here. I would to ask you guys, how come i still cannot sign in to my grab account which they say that my account are not ready yet. I already sign up to grab account, and they said they will contact me within 3-5 days but nothings happening. Or i just wrongly entered the web page of GrabCar Malaysia? Can anyone help me. You may want to email your details to yongjc@stepsocks.com and he will help you to check on this. Btw, he one of the senior member here and i am sure he will help you. Is my suzuki swift 2007 accepted? Yes, Grab accept the mentioned car model and the manufacturer year of 2007. However, you need to go back to office for your car inspection due to your car is older than 6 years. Just go back to the Grab office in Jaya one or the kiosk in bangsar, kl, sunway, cheras and kota damansara depending wherever you are convenient. If you have not registered yet, you may send an email to signup@stepsocks.com. I am sure the webmaster here will help you activate your account. I have signed up for the Gold Project (Rent&Driver) Nissan Almera last two weeks. Grabcar has not contacted me yet. May I know usually how long will the application process? They might take up to month depending on their supply and demand. If you are shortlisted, they will contact you for an interview before they agree to rent to you. Anyway, may i know if you have registered with Grab? If not registered yet and do you wish to be a full timer in Grab where you will have group community support which will lead you to earn more than 2K/week? If yes, kindly contact the support by sending an email to signup@stepsocks.com and the community representative will contact you. My new brand Proton saga 1.3 qualify or not to run grab car? Yes, for Saga model, if your car manufacturer date is not more than 10 years, you can be grab driver. Im driving saga too..but my car already nearly 10 years..was it still qualify? In order to be eligible for Grab driver, your car manufactured year should be at least 2007 or later. Hi, im very interested in becoming a driver with grab… However i dont own a vehicle and am worried that i am not eligible for the leasing program. I dont have any outstanding jpj or police summons however i may havr a ctos/ccris problem. Would this affect my eligibility? Yes, you are eligible for the leasing program if you do have any criminal case history. I shall be pm you on this matter for further detail. Our community in wechat will guide you to maximize your earning through grab. Hi,I am 55yrs old and i would like to drive a grab car.Please help me. Can you please let me know your detail by emailing me at signup@stepsocks.com we will try to help you go through the requirement. Can my husband drive my car as a grab car. He is the named driver of the vehicle. Yes, he can be the driver. As long as the driver name appear in the insurance covernote, then he will be eligible to be Grab Driver. In this case, can both husband and wife be the Grab drivers for the vehicle? Yes Tan, you may as long as not both of you online and available for jobs at the same time. There are a lot of consideration for P license driver. If you are a rider, will you have confident on P driver since he merely have less than 2 years of driving experience? Moreover, Grab is trying to comply with PSV where PSV license holder must not be a P license holder. Hope this clarify. hi. I just read a news regarding the SPAD had arrest few grab car driver in sunway area recently. the reason is that they don’t have a licence to provide public transportation service. so where do I actually get this licence and how? Recently i don’t hear any news saying that there is Grab Driver being arrested by SPAD for eHailing services. Besides that, Parliament has table down to legalise this services by March 2017 but seem to be delayed again. I have a friend working in Grab and he mentioned that there are about 40k drivers registered for Grab. You do not need license to operate Grab. What you need is a phone and your personal information to register for Grab. You may send an email to signup@stepsocks.com if you are interested in join Grab and service the community. Btw, I join Grab as well but i just drive sometimes when I have nothing to do. 🙂 I have joined this community and my leader of this community really guided me a lot. where should i update my new driving license?? We do not have base in Perak yet, however, please stay tune to the latest news on Grab as you wouldn’t know that Grab will be in Perak cities soon. 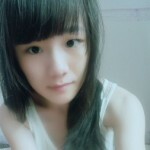 Hi, may i know is there any course have to attend for register being grab car driver? if need how long the course and how to attend? TQ! Is a Mitsubishi ASX 2.0 4WD 2015 or a Mazda CX5 2014 eligible to be a Grab Premium Car ? D segment car like Mazda 6 or Mazda 8 are eligible for Grab Premium after your first 50 trips. I am not sure if Mitsubishi ASX is categorized under D segment car. I am 59 and wish to be a Grab car driver. Read from one above quiry that we need to obtain a medical form. Does it mean we need a GPs medical certification? What’s the criteria cos I do not wish to upgrade my car then fail the medical! Thank you for your interest in driving Grab. Our group has a panel where you will need to see the doctor and just a minor checkup and he will prepare you the report. The examination is merely a small fees. Btw, may i know what is your car model type and your car manufacturer year? You may send an email to us at contact@grabcaruber.com for more detail inquiry. Thanks, that was swift! Awesome!! Will mail you at contact for further enquiries! I actually have been driving for 20 years. But a few years ago when i tried to renew my road tax I had some fines which i did not have the money to pay. This dragged on for more than 3 years and subsequently was forced to redo my license again. So now my license is P again. Can I drive for Grab ? Short answer Adrian, no. This is because Grab is doing the approval base on procedure regardless of what excuse. Can i use my family car? its Myvi (2006), the car is seldom use. I hope can use it to drive Grab. Thank you for your interest on joining our community. I am sorry to let you know that car manufactured in year 2006 is not eligible to be grab driver. The minimum requirement would be 2007. May I know how long does it take to activate grab driver account? Why some takes only 1 hour to get activated but some need to wait for like 3 days or more??? It is depend on how did you register. The whole process will take around 24 hours for alpha registration, which we have and you need not need to go back to Grab HQ office. However, if you register yourself, you need to go back to office for document verification. Some need to perform car inspection if your car is older than 2011. So the activation vary. As i’ve mentioned with you on my email and whatapps, project gold is meant for existing driver and not the new driver. Grab need your to rent the car outside for about 3 months before you are eligible to join their program. Please bear in mind that their minimum contract joining their programme would be 6 months and if you are banned for certain reasons, you will not be able to use the car joining their competitor as driver. If you are interested in joining our community where we will guide you tips and tricks how to be a professional grab driver, kindly register with us by providing us some basic information. May I know how about kenali car not more than 9 years can use for register as grab car ? Good day! According to your car is eligible to be enrolled as Grab driver. If you have not registered as grab driver, you may want to register with us here. I am not in Malaysian , but I have a company in Malaysia, if name of the company buy a car . It’s possible registration of grab car and drive by Director. No, you will not be eligible to drive as Grab. Reason being is you still need Malaysia ID to drive grab. Hope this clarify. Hi admin, can I be a grab driver if I don’t have a car? Yes, we are liaising with car rental company and fulfil all Grab requirements in order for you to be a grab driver. Besides that, we have a huge online community helping each other to max your earning through driving grab. Besides that, you will be briefed in detail if you are interested in joining our community. Kindly register yourself at https://www.grabcaruber.com/registernow/ if you are interested. sir. produa bezza eligle for grab? hi, may i know what should i do if my application is not reverted for more than 1 month now? May i know what do you mean by not reverted? You mean you have registered but you have not verified your document with the office? If so, you may try to send an email to us at admin@grabcaruber.com so that we can follow up from there. May i know what happened? Is it because you have been blacklisted on traffic offences? If yes, you might need to clear the traffic summons and reregister again. No, Viva is not eligible to be grabcar driver regardless of its manufactured year. However, if you would like to be full time driver, i suggest you to use rent car service. 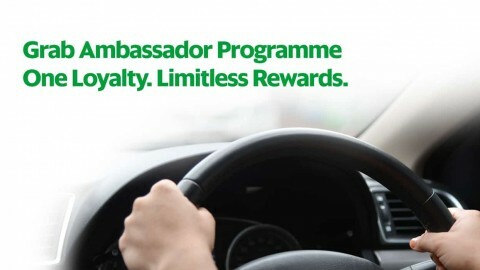 Hi Admin, I wish to be a Grabcar driver but I do not have a car that is eligible. Can you advise if there is any car leasing programs? However I may have problems with ctos. We do have partner whom are providing car rental services. 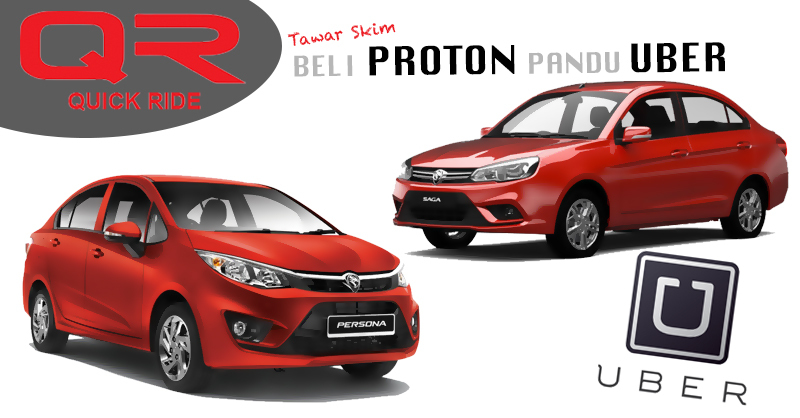 However, our requirement for car rental services is mainly for Grab full timer. Rest assure, one of our community member will be contacting you soon through the email you’ve registered. Hi, how about if I’m holding MyPr Ic & have a full driving license? Am I eligible to be a grab driver. Hi,i really want register to be adriver fo grab car ,but i dont know how to register for melaka area?can you help me? does grab allow drivers to drive outside klang valley, if you are registered as GC driver in Klang Valley? Depend on the outside Klang Valley. For example, if you registered in KV, you will be able to receive job in Seremban and Port Dickson. But Johor, Penang and Pahang will not be able to be transaction. Hope this clarified. Hello admin, would like to ask if my 2007 Nissan Latio would qualify as a GrabCar? I understand the max age of car is capped at 10 years old. So if I sign up this year, does that mean I will not be able to drive anymore next year? Yes, you are eligible to work for grab with the mentioned car. And you still can continue to work with that car the following year because they do not have the process of recheck the car. 🙂 Hope this clarified. However, for car older than 2011, you need to go back to kiosk to perform inspection which is foc! Car 2009 below need to checking by office? Do I need to bring my car to the office? Yes, you need to bring that car to kiosk for inspection which is totally foc. Then only you are eligible to be grab driver. May I know how long does it take to activate grab driver account? I done documents verification ytd and the guy told me will activate my account today morning, but until now I still cannot Sign in my Grab Driver apps. What I can do now ? Normally it will take about few hours but not sure on your case why it was so late. You might want to call cs for verification. Hi Admin, I am a registered driver for grabcar in Ipoh, can i drive in KL or Penang? No, but if you wish to be driving in KL, kindly let us know and we shall be liaising with Grab. Can a bankruptcy person be grabdriver? Yes, you are eligible to be grab driver. However, if you have background criminal cases, then you are not eligible. i just got banned by Grab for using another car while picking passenger. is it possible for me to get back as driver again? There is a program for banned driver. However, it is upon invitation so be patient on this and you might be given second chance. I sent an email to signup@stepsocks.com but the system replied telling that adrress was not found. Admin, I need help here. Changing phone can be solve by login with gmail. Changing phone number can be done by calling the grab customer service at 0379645000. Changing car plate needed to be done at their kiosk or HQ @jayaone. Hi. Regarding this issue, i’ve been driving with a rental car for few months. Returned the rental car and got myself a new car. So if i go to HQ and inform them, will my Credit Balance still remain even after change of vehicle and plate number? Yes, it will remain. We have now partner with one of the private car rental company and you may look at it if you would like to rent from them with affordable price and equipped with dashcam and gadgets. i would like to register as a part time grab car driver and i dun own vehicle, is grabcar company offers rental car for drivers? Hi, I am a malaysian and holding a singapore driving license, so can I become a malaysia grabcar driver?or use singapore international license? I have no idea on this. However, you may give it a try if you want to. :). Do reply me here if you would like to try and i shall pm you. Yes, you can use SG license to drive only in Johor as Grab driver. You can’t use it for other state but just only for Johor State. Hi, only Malaysian can be grab driver in Malaysia. No, after Oct, all car which is eligible for Grab and Uber would be 2011 and above. hi… bankruptcy person can drive for grab car.. possible to join rent program? Can a person with bankruptcy status drive grab or uber with no criminal record ? Yes, you may as long as no criminal record. I would like to understand more about the guaranteed hourly incentives. I’m a full timer and recently opt in from associate. Nevertheless, is it possible to join your community? can i be a grab deiver if i use my family car but the car is under my father’s name? Yes, you can. Just add your name into the authorise driver at your covernote or endorsement. If i drive car manufactured on the year 2011… Can i still be a grab driver on the 2019/2020? If the SPAD rules remain the same, once you have registered yourself with the car, you still can drive until the car reach 10 years old. Hi, I’m interested to become a grab driver but I do not own any vehicle. I don’t have any criminal record or summon issue. Can i get help on this ? You may check out this as we are partner with KiniXpress on car/vehicle rental for Grab and Uber drivers. If I rent car from KiniXpress to be used as GrabCar, what is the additional requirement, as the car is not registered under my name? You may want to contact them for more detail on this. Hello! I’m new. I’ve not registered as a Grab driver yet but I’m interested in taking part in the squad. I have my own car but I bought my car in 2005, and you guys might not approve on that year. I drive a Matrix. Accident-free, never had breakdowns and no criminal record since. I’ve enjoyed driving since I got my car, been going on spontaneous road trips every now and then. My principals on driving is, ” Never drive too fast, better safe than sorry. Would you allow me to join your squad? Or are there options for me to join the Grab squad? Please advise. Normally it will take around 10 minutes to 24 hours. Depending on their activation process. Hai..I’m ismail 46th yrs old from Sg.Besi KL..I didn’t have a car can I become a GrabCar driver? I have an experience as a taxi driver before, but my PSV license already expired 2yrs ago.. Yes, you are certainly can be Grab driver. hi. i own a perodua viva(not elite) manufactured in the year 2013. is it eligible for grab? Hi Wil, viva is not eligible to be as grab driver. 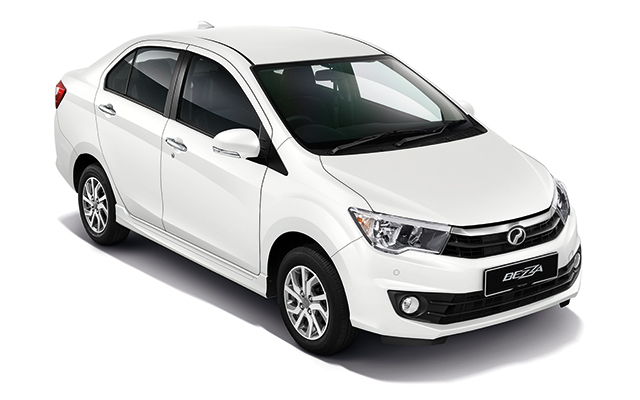 The minimum car is perodua axia. No, you are not eligible as grab driver. Only malaysian without criminal records can be grab driver. HI, admin..i have a Proton saga manufactured in 2008, however my car being modified a little bit. Does my car still eligible to be used as a grab driver? No, all car above 10 years which is not older than 2009 is not eligible to serve as grabber. Hi, I am a malaysian and holding a singapore driving license, so can I become a malaysia grabcar driver? or use singapore international license? And I means use my Malaysia personal own car. Yes, you may but the license can only be used to drive in JB only. Hi..I am 58+ yrs now residing in Ipoh. I have no car that comply to grab requirement. Can I become and register as a grab driver in ipoh under grab rental car. Emmm, the project gold or other introduce by grab only meant for Klang valley only and it is limited to certain driver as well. You may however try to discuss with the local car rental in ipoh to be use as grabber. hi may i know how to register myself as a grab driver at penang? You may want to register through their kiosk in penang. For penang registration, you can do it online and go to their kiosk to verify the document before your account is to be activated. Hi boss why perodua viva can’t register for grab? Grab requirement. Nothing we can do about it. I suggest you can use car rental service or purchase your own car. I rented a car to be a Grabdriver using a rented car for 3 months now but the rental company didn’t renew the road tax. It has already been 3 days now. What should I do? I believed I have been cheated even though the introducer is a Grabdriver. I contacted him via a banner on the roadside. Return the car back to them and try another car rental service. We do have our alliance partner on car renting services. You may checkout their websites and contact them here. Can i register for Grabcar driver if i have car manufactured in year 2007 and in a very good condition? No, you can’t. The oldest car which you can register would be manufactured in year of 2009. I am presently a GrabCar driver, I am using a Nissan teana. Do GrabCar kuantan provide premium service? Currently the rate is the same as others. Currently Grab premium only available in KL and Selangor. I am a Malaysian PR since 2009, residing here in Malaysia for the past 24 years. I want to become a GRAB DRIVER. I am also a single mum. Pls tell me if I am eligible to drive GRAB. No, only Malaysian are eligible for driving grab. Hi, where do I go to get my medical checkup done cheaply? Do all GP know what to do? can a person with spouse visa ( married to malaysian citizen ) with working permit drive grab? We are regret that only Malaysian with Malaysia IC is eligible to be grab driver due to security reason. my name is in CTOS. i have made payment to clear my name and have all documentations to prove all outstanding dues are cleared, however according to CTOS my record will remain in their database for 2 years according to the law. will this affect my ability to register as a GRAB driver? Yes, you can register grab car if you do not have any criminal records and blacklisted summons. I have forward your email to our agent for your grab registration. Can a bankruptcy drive for Grab? I have bank account under my name. Yes, as long as you do not have criminal records and blacklisted saman or too much saman, then you are eligible. Our agent will contact you for fast and free registration. Hi. I got 2 cars registered under my name. My father is a retiree and would like to drive grab to spend some time. My question is, can he use 1 of my car(the car registered under my name) to b a grab driver? Yes, as long as his name is inside the covernote as co-driver of the mentioned vehicles, then he is eligible. Please ensure that he has done a medical report if he is over 50 years old at any clinic. Our agent will contact you for the registration and he will provide you will all the necessary information on how to move forward.